The makers have shared a sneak peek of the episode which seems to be a fun-filled affair. Every Sunday filmmaker Karan Johar comes up with new pairs from the industry on his chat show Koffee With Karan to entertain the audience. On Sunday, we saw cricketer Hardik Pandya and KL Rahul, who somehow had a connection to the entertainment industry, in an interesting episode. Next Sunday, we will see half-brothers Shahid Kapoor and Ishaan Khatter. The makers have shared a sneak peek of the episode which seems to be a fun-filled affair. ALSO READ| Is Deepika Padukone playing Ranveer Singh’s onscreen wife in Kapil Dev’s biopic? Then we can see that Shahid Kapoor teases his brother Ishaan about his rumoured girlfriend Janhvi Kapoor. He even spilled the beans on Ishaan’s dating secrets. And when host Karan Johar asked if he is dating Janhvi, the Dhadak actor seems to be short of words. In another promo, Ishaan reveals that Janhvi’s contact on his phone is saved as ‘Are those potatoes?’ He said that’s what she asked him to save her contact as and call her. Finally, he realises that this is sounding awkward. 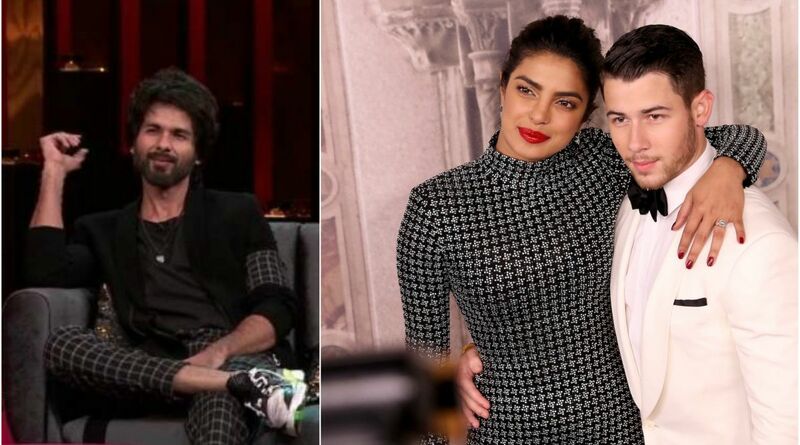 The sixth season of the chat show Koffee With Karan has already seen some dynamic pairings including Alia Bhatt and Deepika Padukone, Ranveer Singh and Akshay Kumar and others.